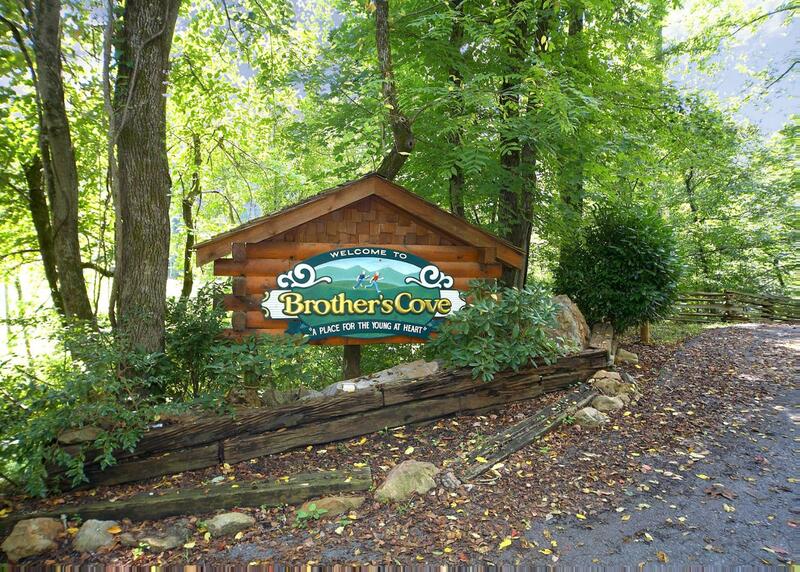 Feel the peace of the mountains in Perfect Peace, nestled in the Brother’s Cove Resort. This two bedroom, three and a half bath cabin comfortably sleeps ten, offering two queen-sized iComfort mattresses, a twin/trundle bed, and two sleeper-sofas. The master bedroom includes a gas, stone-stacked fireplace and select bedrooms include access to decks, private baths, televisions, and unbeatable views. The living room is the perfect spot for the group to gather in front of the stone-stacked, wood-burning fireplace to watch television with Direct TV, or kick back to admire the view from the floor-to-ceiling-windows. Prep meals in the fully-equipped kitchen and serve your group at the six-person dining table, with additional seating at the island. 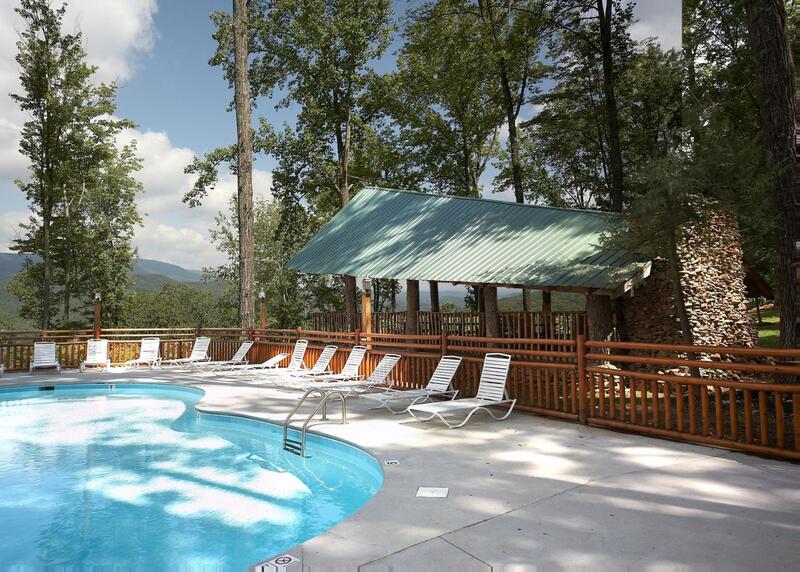 Practice your pool shot in the game room, or take to the wrap-around porch to grill up dinner on the propane grill, soak in the hot tub, or admire the view from one of the rocking chairs. 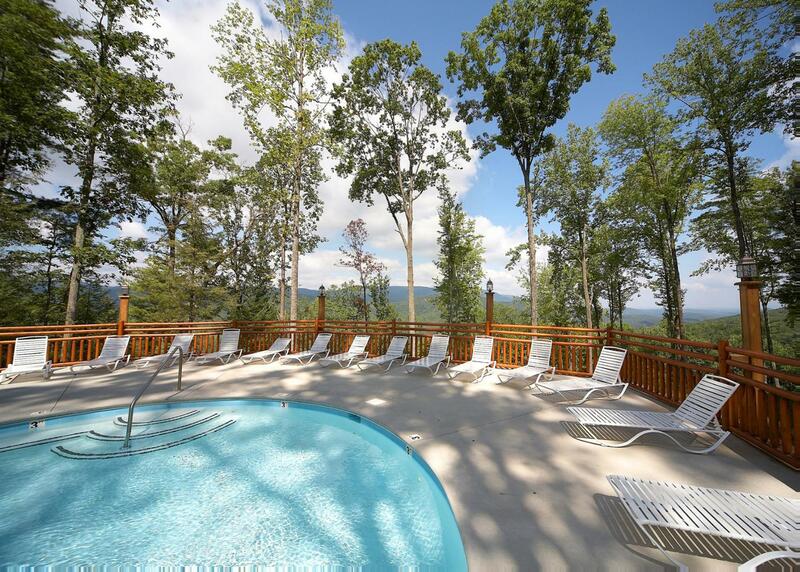 For your convenience, Perfect Peace is complete with free WIFI, central heating and cooling, and guests have access to the resort’s seasonal swimming pool. We apologize, but Perfect Peace does not accommodate pets. Perfect Peace #46 is rated 4.9 out of 5 by 21. Rated 5 out of 5 by ABCD from PERFECT sums it up!!!! My family of 4 just returned home from our trip to Pigeon Forge. We had a great time and absolutely loved our cabin Perfect Peace. The view was beautiful and very relaxing. The cabin was perfect for our family, it was very clean and had all the amenities we needed/wanted. 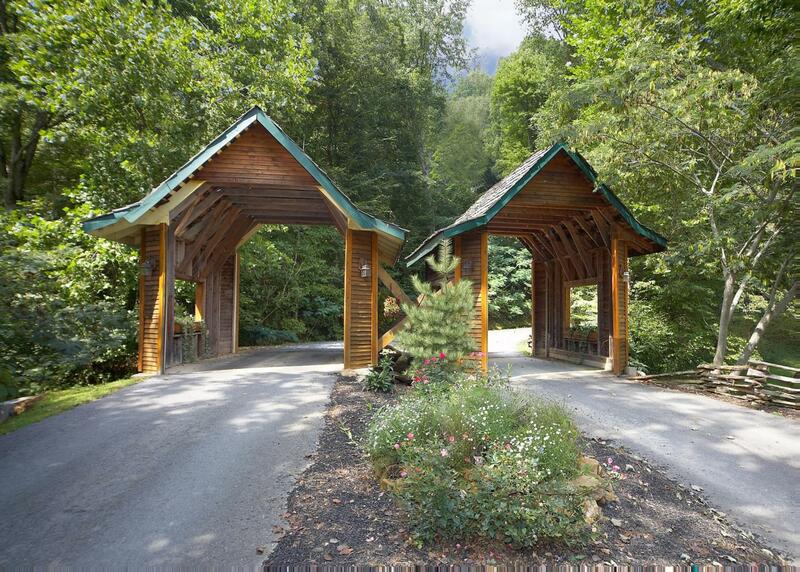 The location was perfect in that you could get into town fairly quickly and easily. We will definitely be going back to Brother's Cove area as the staff was very accommodating, friendly and the gated area added Peace of mind!!! Rated 5 out of 5 by Matt from What a view ! My family and I had the best time in this cabin. The location is hard to beat. It faces the west so every sunset was amazing. The staff were all very nice and accommodating as well. We enjoyed playing pool, sitting in the hot tub, and grilling out on the large deck. Rated 4 out of 5 by Jenno1321 from Great view, terrible beds We visited the first week of September. The cabin was beautiful and spacious! We had amazing mountain views, and a private back deck. The only 2 negatives were the driveway, and the beds! The driveway is extremely hard to get into if you're driving a full sized pick up truck. I know these cabins don't have the best mattresses, but these were horrible! By the middle of the night, my husband and I had both "sank" down into the "hole" in the middle of the bed. Other than those 2 negatives the cabin was perfect! Rated 4 out of 5 by Greg from Visited In June. Best View In this Resort. I have stayed at Brothers Cove 4 times. This cabin has the best view and privacy. Like the lay out of the cabin. Had problem with upstairs stayed warm because 3 of the AC vents wound not blow air. Called the office the first mourning, they sent up maintenance man who said they will have to get AC man to look at it. I got a call a few mins later from the office advising that AC man would be there that afternoon. Stayed 2 more days and no AC person showed up that I'm aware of and problem was not fixed. Rated 5 out of 5 by JessicaW from Cabin in the clouds I stayed in this cabin in December with a small friend group. We were surprised how cute Brother's Cove was (very steep to drive up though). The cabin was pleasant, peaceful, sizely and comfortable. Rated 5 out of 5 by Lkm1 from Amazing views My husband, mother, and 10 yr old son stayed here and loved it. Just the right size. My son was thrilled with "his" room that had the best views and a pool table. The upstairs bed did feel a little worn with a rut in the middle and it was pretty warm in the afternoon if you left the blinds up and the fans off but we could adapt for the views. Oh, and there were no coffee filters for the machine. As long as you are prepared, it works.